Checking Out Systems … Ready to Go! Just in case you thought they were bling … wrong. The instruments in the cockpit are real and work, so need periodic testing and calibrating, which Adrian gives a helping hand with. 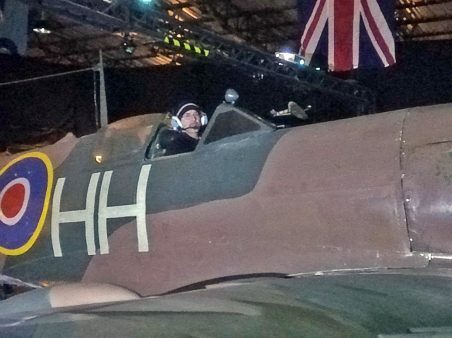 Adrian at the controls as he checks out the full array of instruments in the Spitfire’s cockpit. Having made changes to the computer settings to maximise use of the processor, quality of the graphics has improved tremendously. It includes an exhilarating low level flight check to fly the route for future “trainee pilots”. Get the experience of a lifetime. 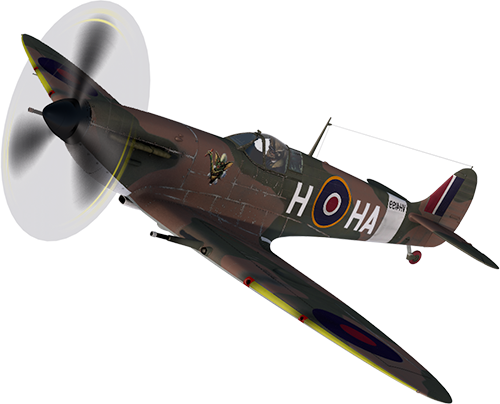 Climb into the cockpit of our full size custom built replica of a Spitfire MKV with original instruments and interior. 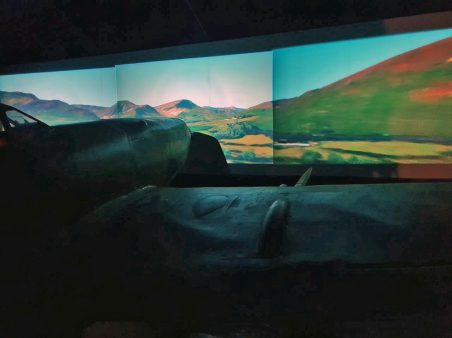 The aircraft is mounted in front of a panoramic projection screen to give you a full sense of immersion in the simulator.